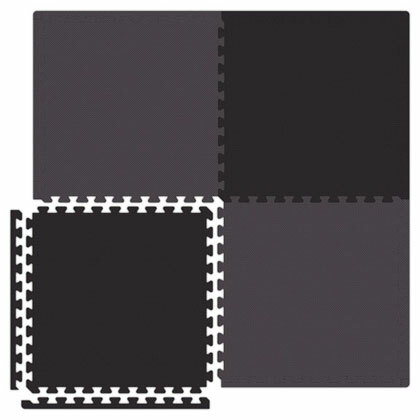 Reversible Economical SoftFloor tiles come in Black/Gray and are easy to assemble in minutes. These floor tiles provide a soft and safe floor for a variety of environments, such as trade shows, gyms, health clubs, home, and other facilities. Each tile comes with two borders and corners. Reversible Economical SoftFloor Tiles are the more economical alternative to our already economical standard SoftFloor Tiles. These tiles are slightly thinner and less durable. Orders under $100 material cost will be charged a $10 handling fee. Minimum order size is 8 tiles.